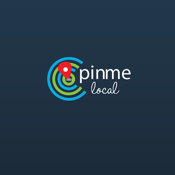 Pin Me Local is an exciting new app that returns the power of information and decision making to the individual. Rather than waiting for sponsored local news channels to pick up on the latest stories, hot new restaurants, or local events, users can generate content (photos, stories, podcasts, videos, etc.) that is organized by both city and category and can be filtered based on your location in order to produce the most timely and relevant information. Making our local communities exciting and informative through short, rich, interesting and informative content. Produce your own stories, photos, podcasts, and videos to share with your community or just simply aggregate stories from other sources with your own insights. Content is divided by city and category so you can always change your preferences depending on where you are. Share proud moments with your kids, tell your friends where to go or about a new business, advocate for your local politicians, learn about the history of your city and best of all you can filter it all by proximity to your location. In the end, our goal is to empower our communities, one at a time; to share, showcase, educate, and help local small businesses and charities thrive. We are currently beta in the Washington, DC area and Virginia, but you can use the app anywhere in the US. Let's make our community better a pin at a time.